I will provide detailed Submission Report after submissions with live back links of your website or Blog. 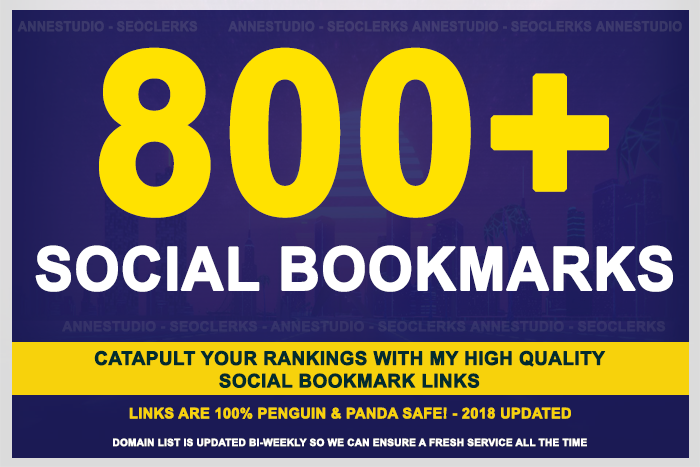 add 800+ SEO social bookmarks to your site, rss, ping is ranked 5 out of 5. Based on 25 user reviews.